Does your cat or dog have a microchip? 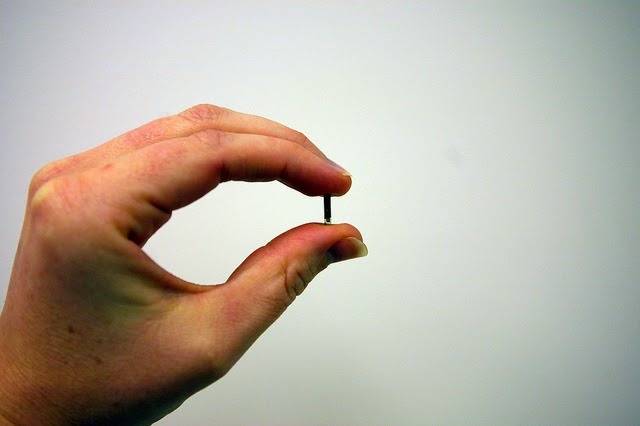 Tiny and virtually painless to implant, this life-long form of identification may mean the difference between never seeing your lost pet again and having her returned safely to you. I Never Thought My Indoor Cat Would Get Outside! A few weeks ago, I woke up to find my cat missing. Usually curled up at the foot of my bed, Smalls was nowhere to be found. I searched all his favourite spots in the apartment. When I saw the screen for the bathroom window pushed out, I grabbed a container of my cat's food and ran outside, shaking it and calling his name. don't have the skills or knowledge to thrive and survive outdoors. Always an indoor cat, I worried how Smalls would fend for himself outside. Even with his ID tags, my feline escape artist could have easily wriggled free of his collar and lost that form of identification. I hoped that if I couldn't find him, a neighbour or passerby might see him and bring him to the OHS or a vet clinic to check if he had a microchip. After 15 minutes of shaking his food and calling his name, Smalls ran out from his hiding spot in the backyard, trembling and meowing but safe and sound and found. I was lucky this time and my nerve-wracking experience really proved that the fifteen-minute appointment and $50 microchip fee is a small price to pay for your animal to be permanently linked to you if they ever find themselves lost. This past summer, a lost cat appeared in a neighbour’s backyard one sunny morning. The cat was very friendly and keen to go into the home of anyone who’d have her. We all watched her for a few days, thinking perhaps she was just an outdoor cat who knew her way home. But when she took up residence in someone’s screened gazebo, we realized she was likely lost. One neighbour filed a lost report with the OHS and another spread the word through our neighbourhood’s email list. Another neighbour placed a notice on Kijiji and on the Ottawa Lost Pets website. Then my kids and I took the kitty to our local vet. The vet tech and I looked at each other, stunned, when the scanner beeped within two seconds of being placed near the cat. I felt like we’d just won a lottery! A phone call later, a young mum with a toddler and baby in tow arrived at our door to collect their beloved family member. It turned out that Mrs. Wiggles was 10 years old and had been missing for almost two months. She lived just two streets away! This story has a happy ending but so many others don’t. 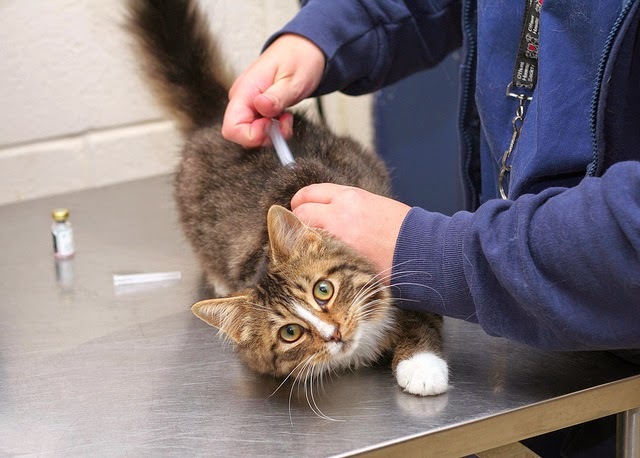 A mere five per cent of the thousands of cats that arrive as strays at the OHS each year will be claimed by their owners; many don’t have the identification necessary to help find their way back home. A microchip helped Mrs. Wiggles get home. Without it, she may have never been returned to the loving arms of her family. From April 1 to Aug. 31, 24 lost cats and 55 lost dogs brought to the OHS were returned to their human companions because they had a microchip. When you consider the total number of strays brought to the OHS during that same time period — 964 cats and 498 dogs — it’s clear that there is still work to be done when it comes to education on the importance of identifying pets with a microchip, said Sarah Oswald, manager: admissions and rehoming. identification to help them find their way back home. To find out about upcoming microchip clinics, please visit http://ottawahumane.ca/your-pets/microchip.cfm. Do you have a story to share about losing a pet or having one returned because of a microchip? Please share it on the OHS Facebook page at Facebook.com/OttawaHumane.